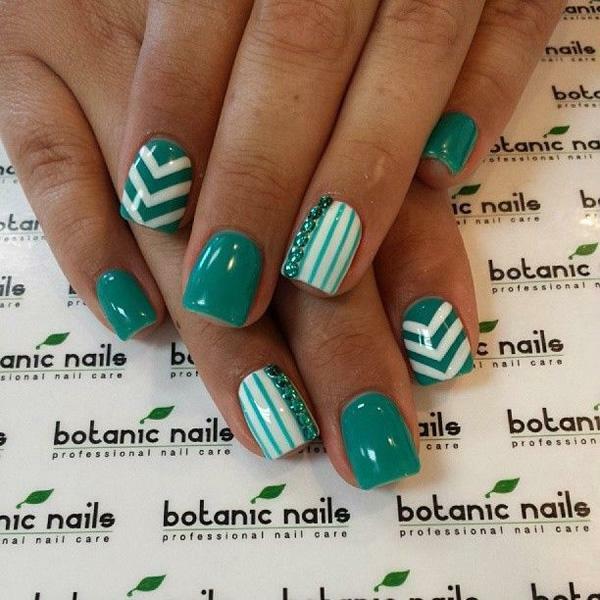 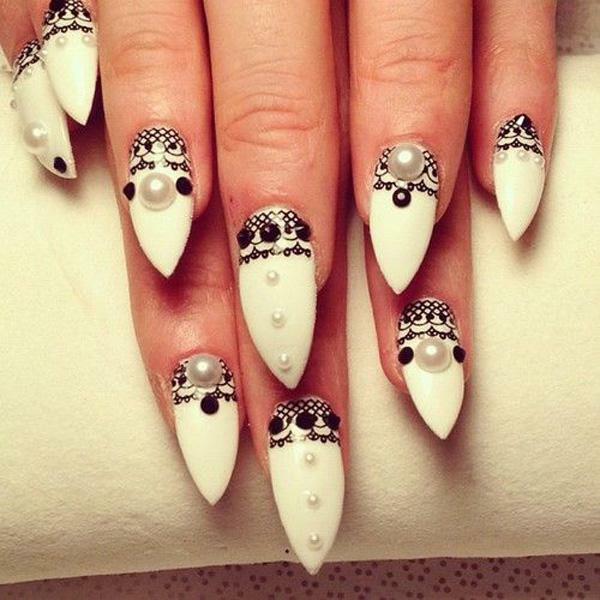 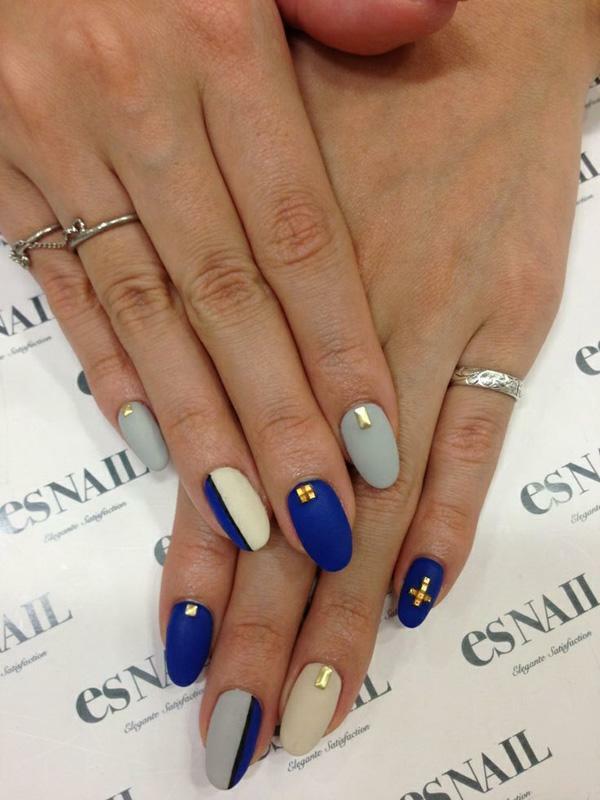 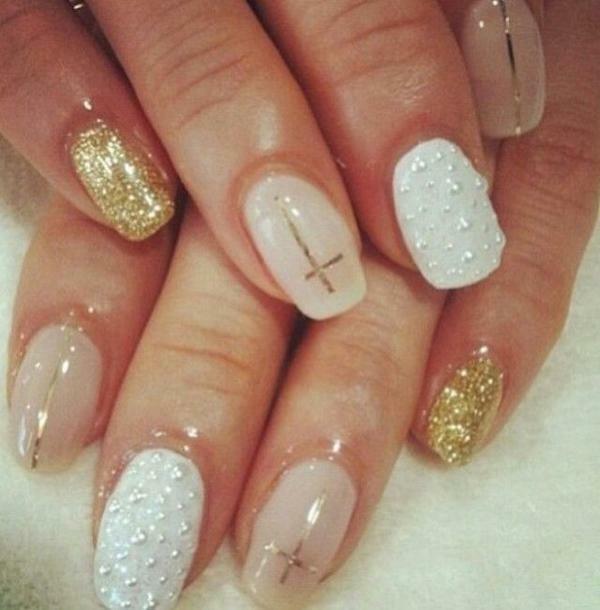 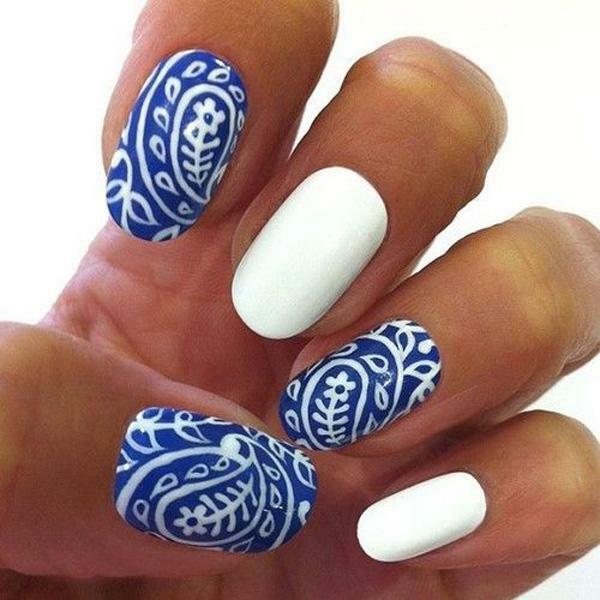 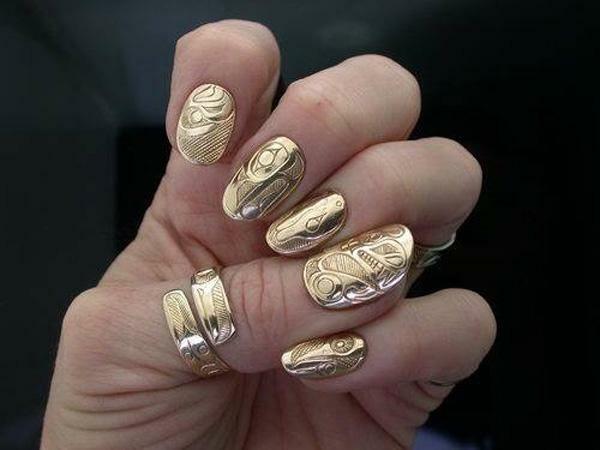 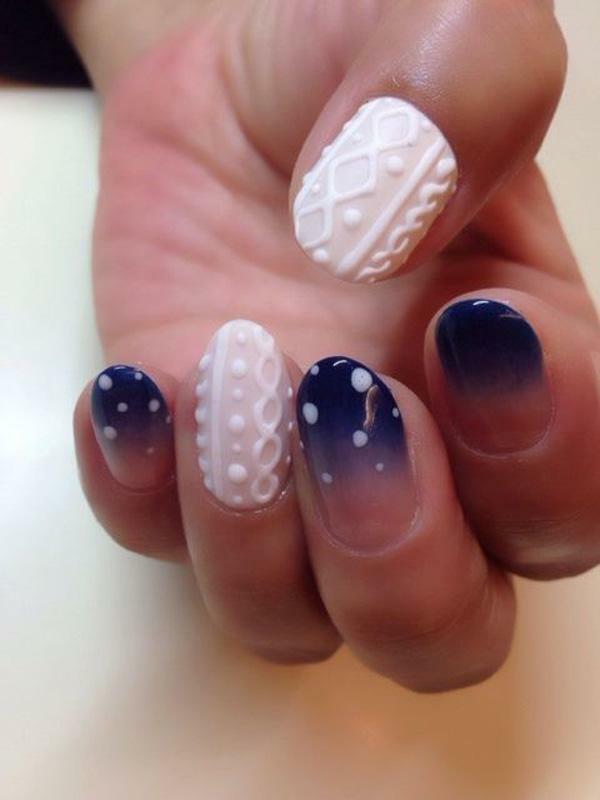 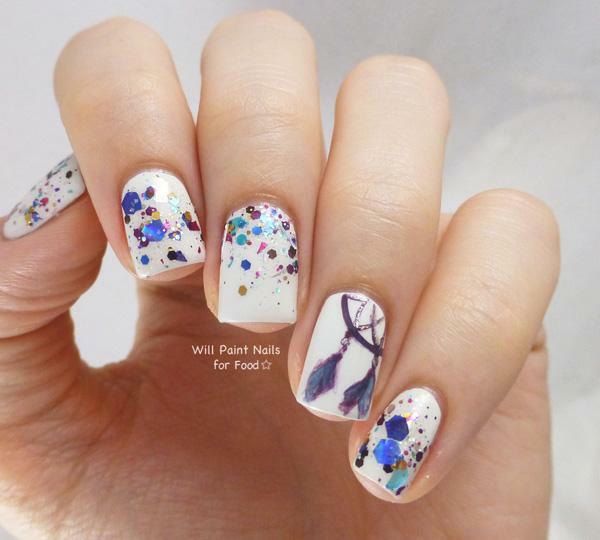 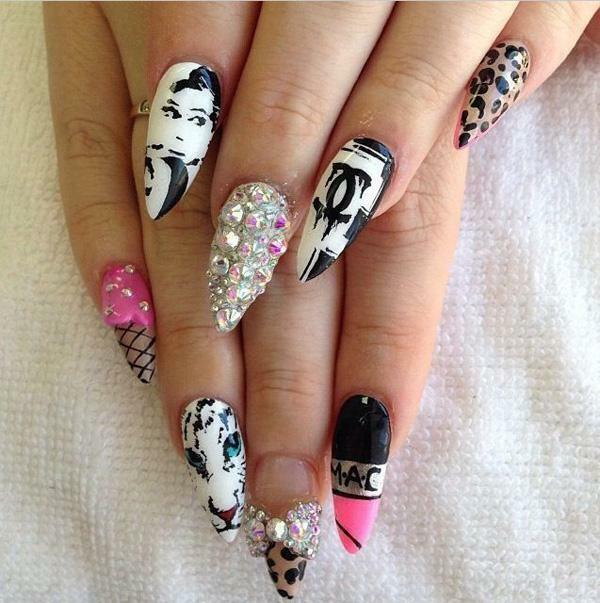 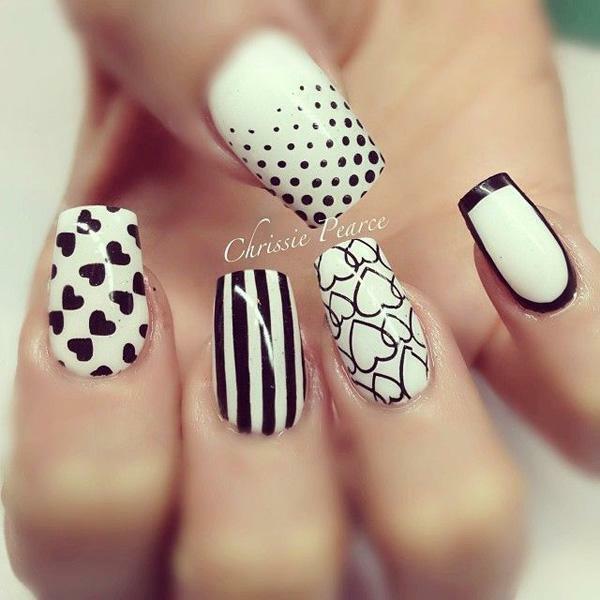 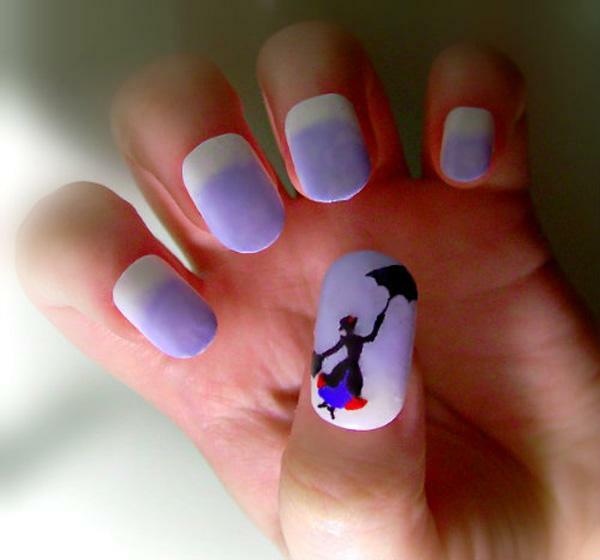 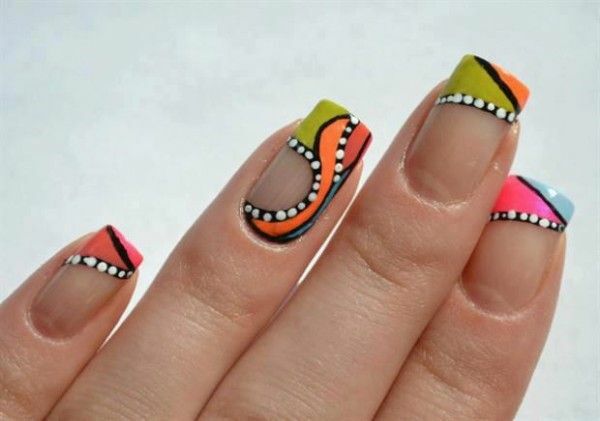 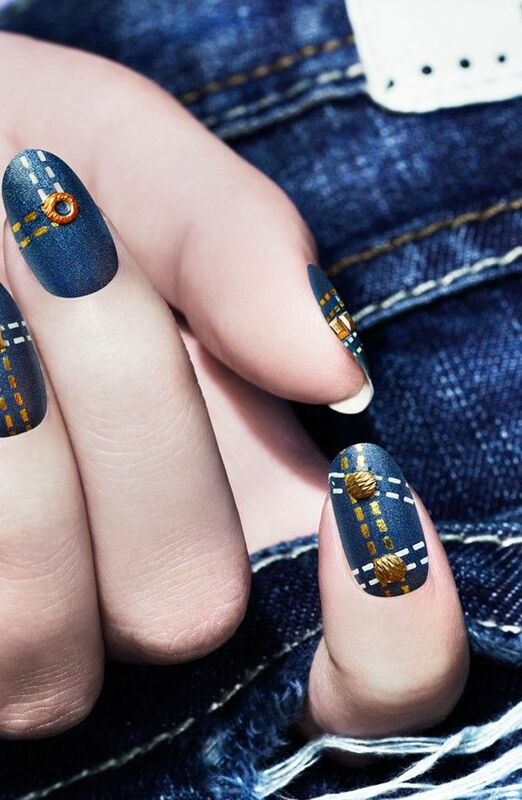 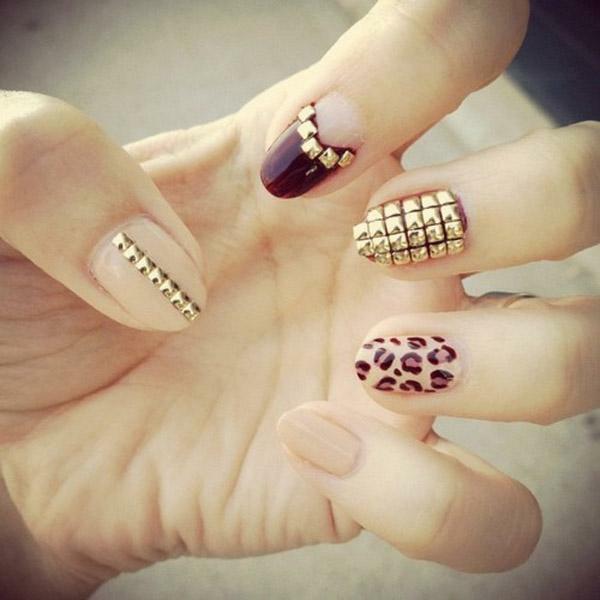 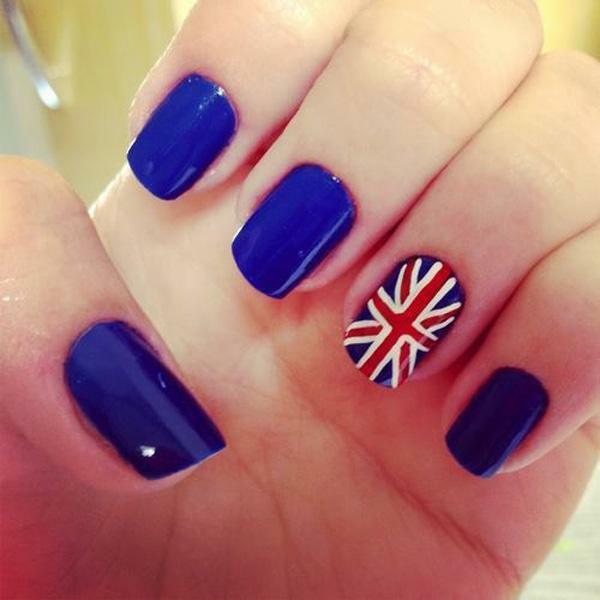 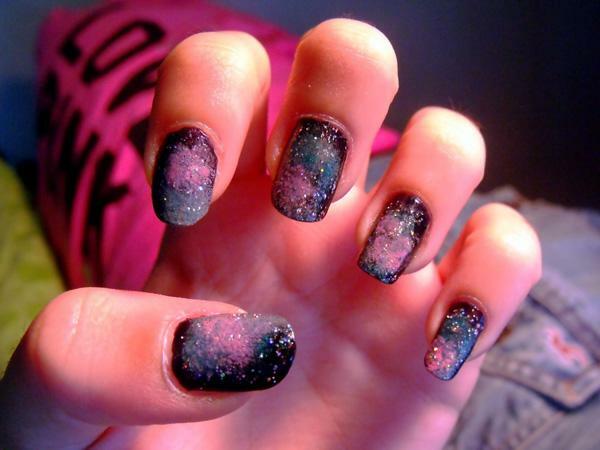 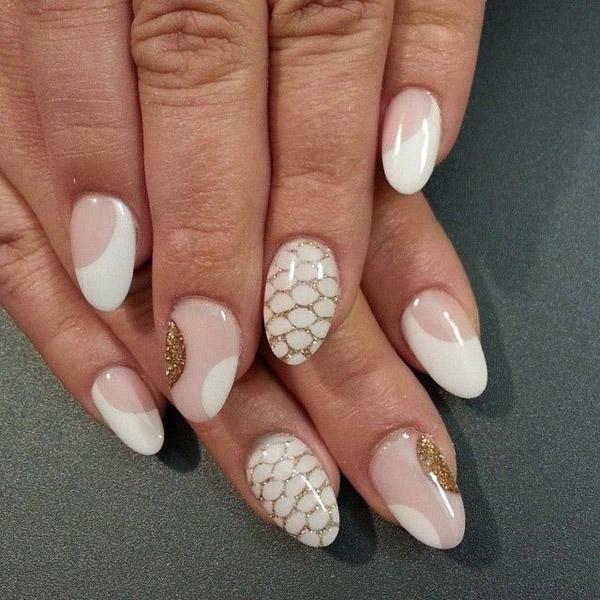 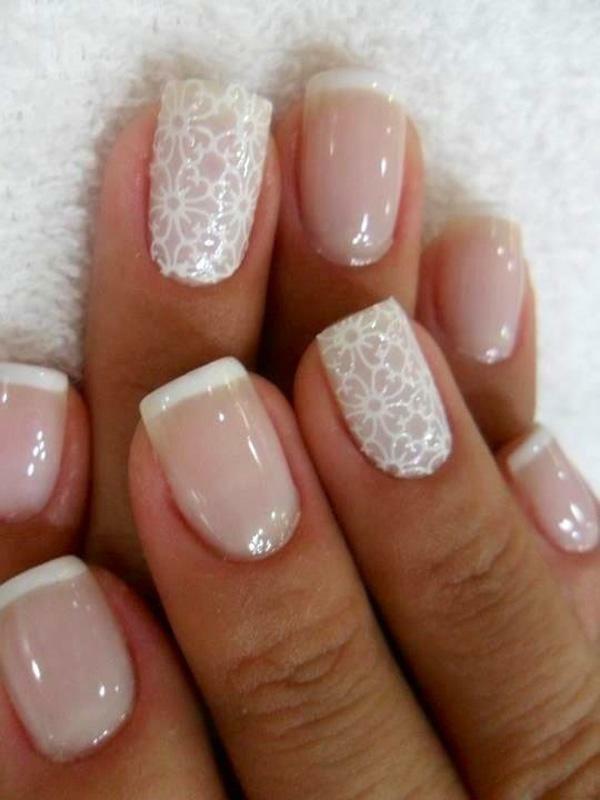 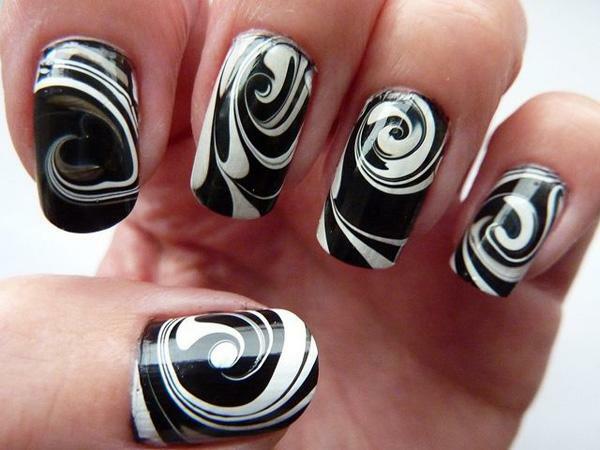 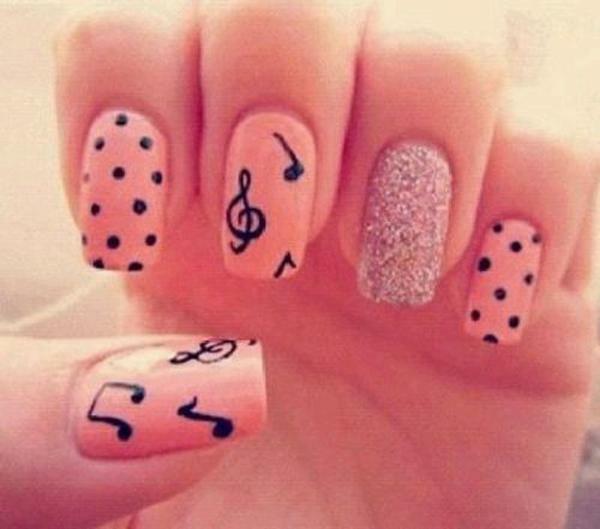 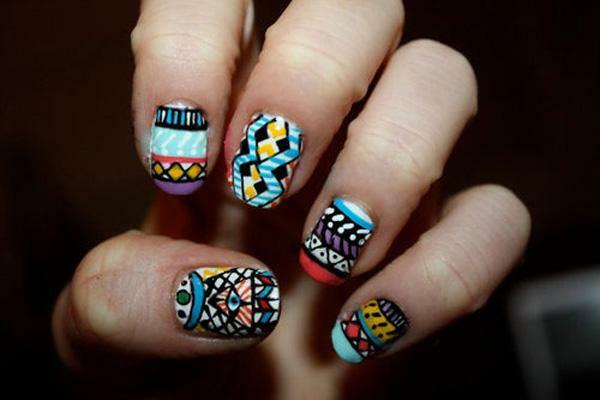 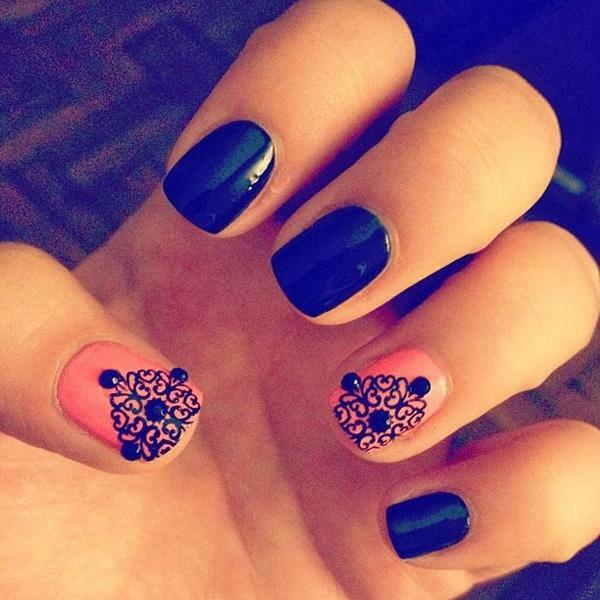 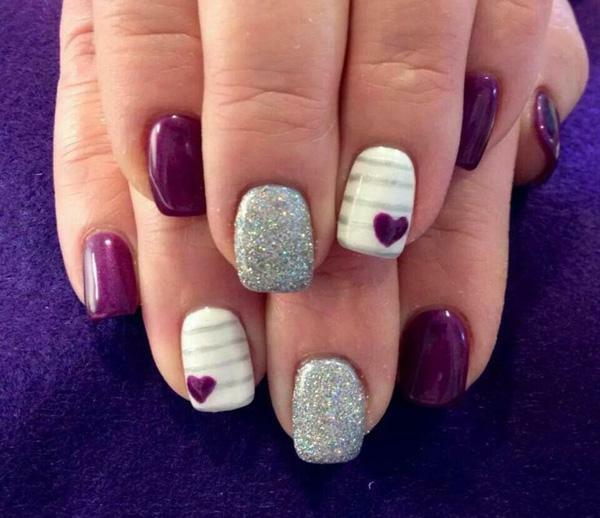 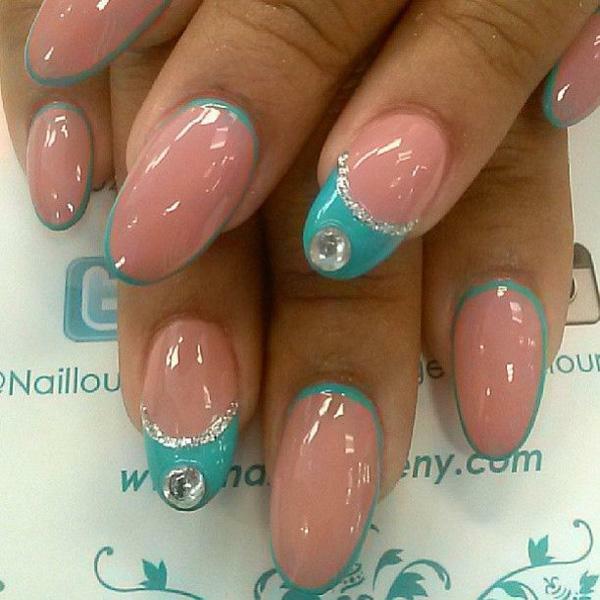 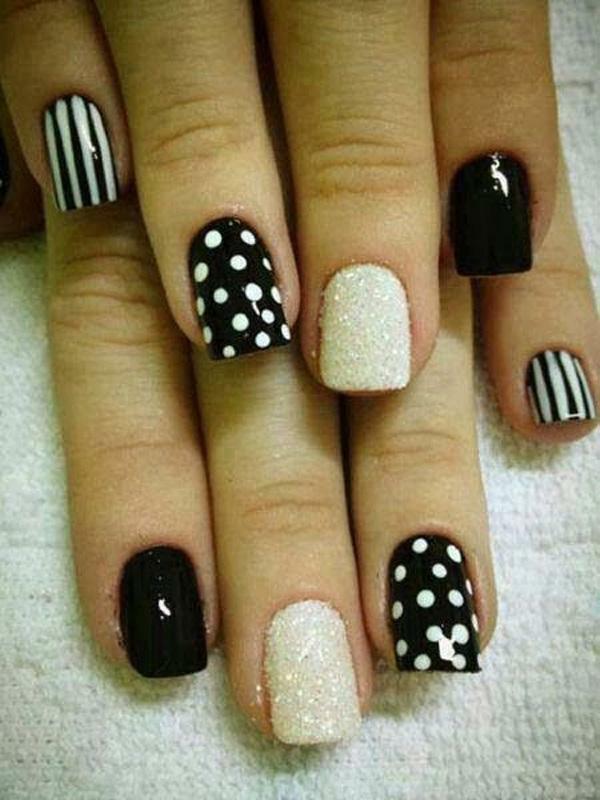 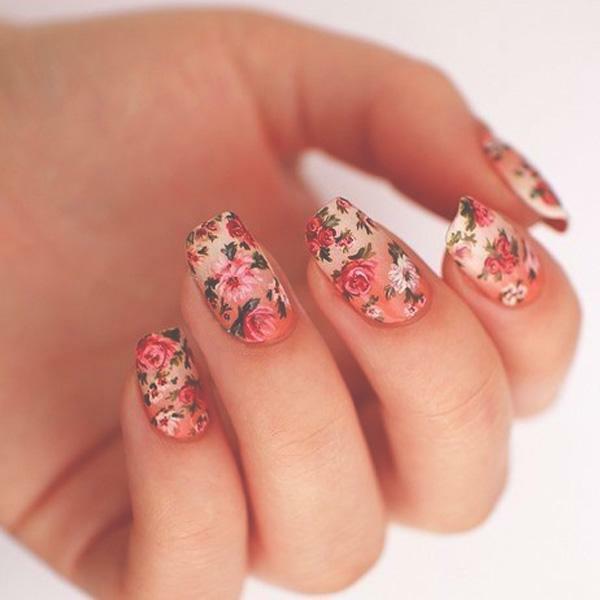 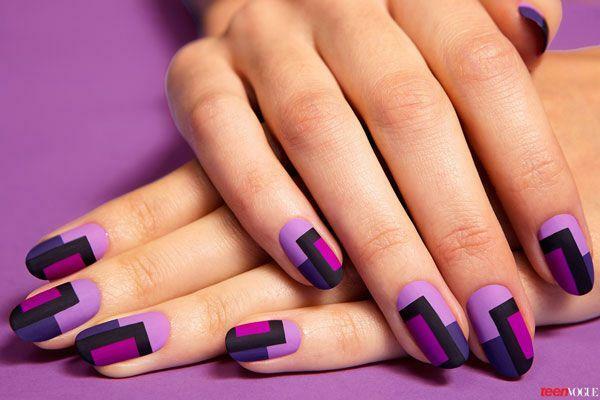 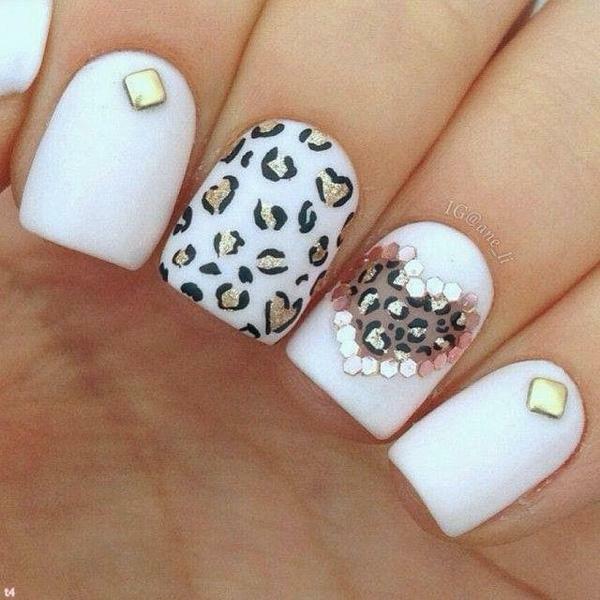 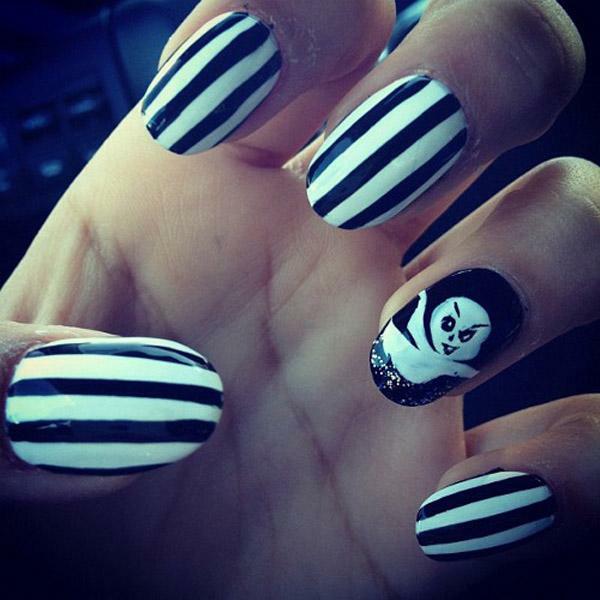 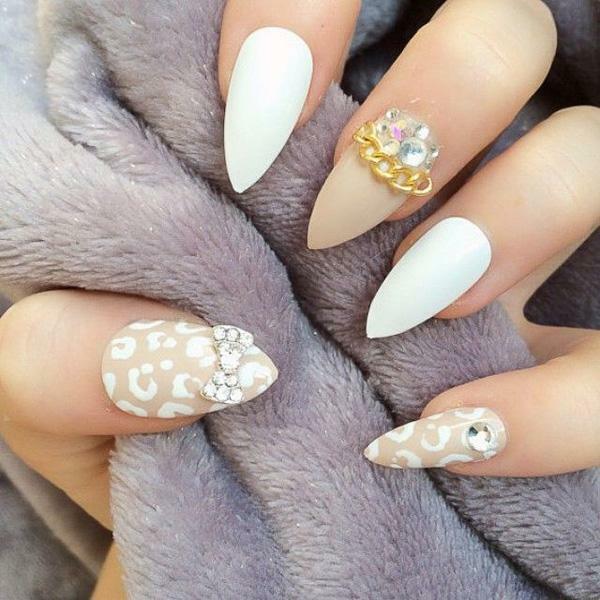 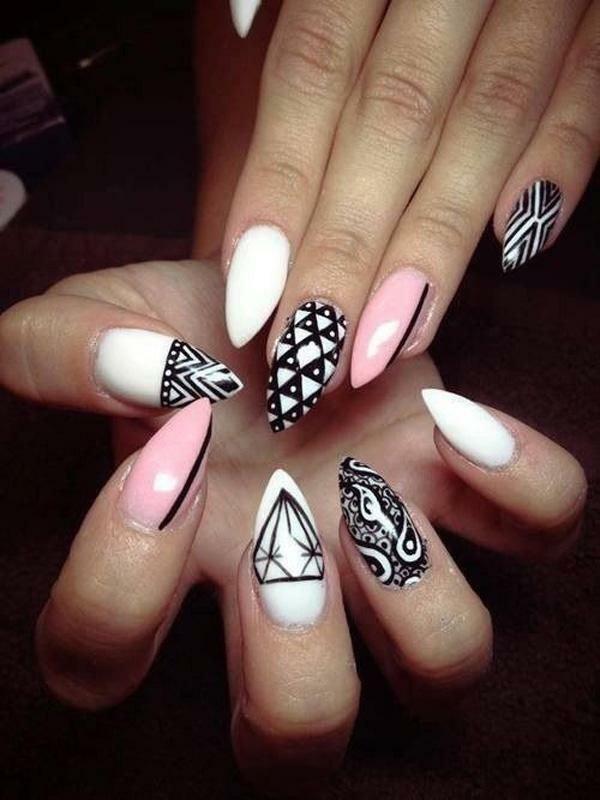 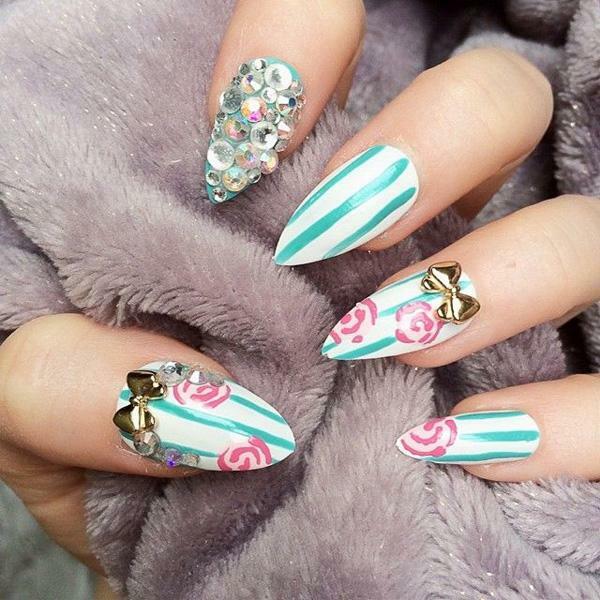 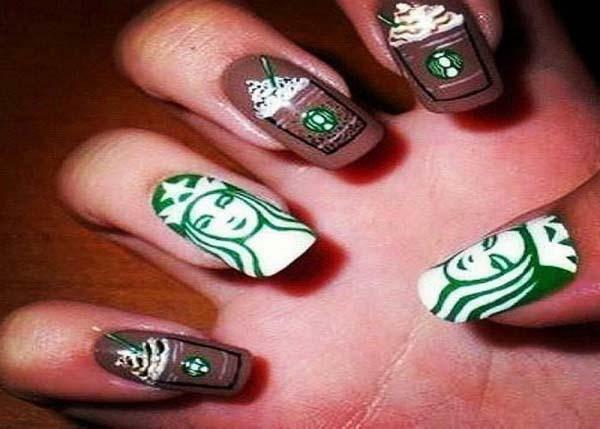 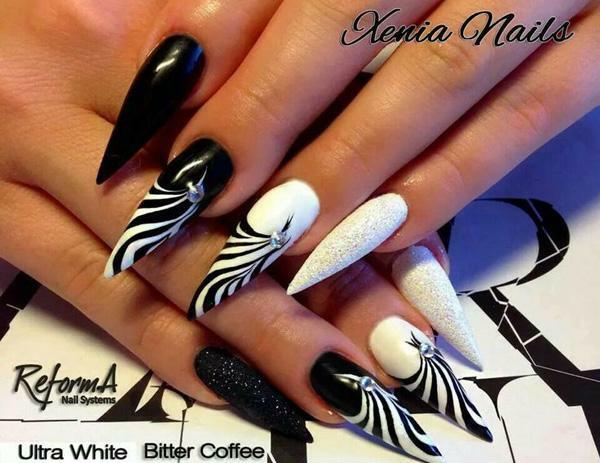 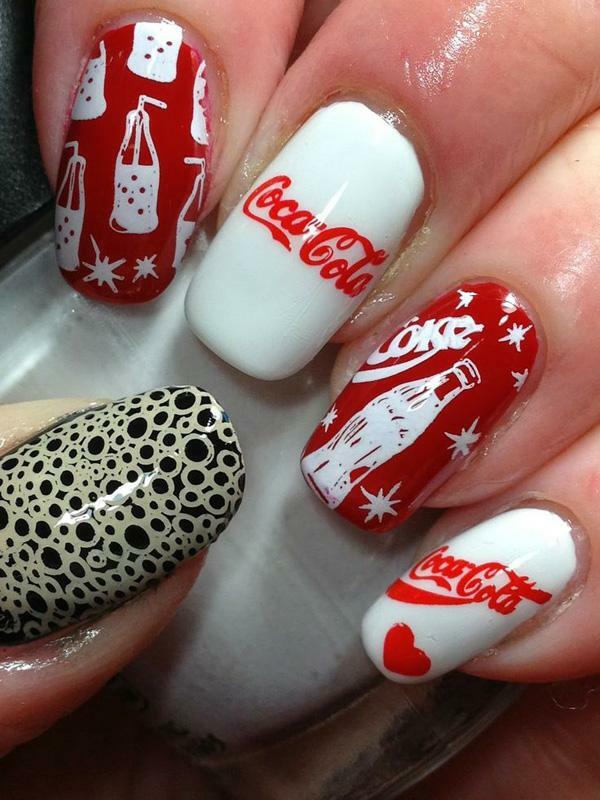 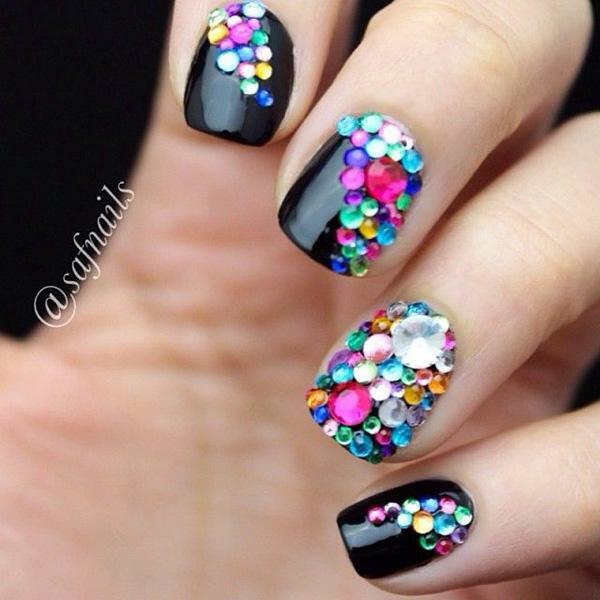 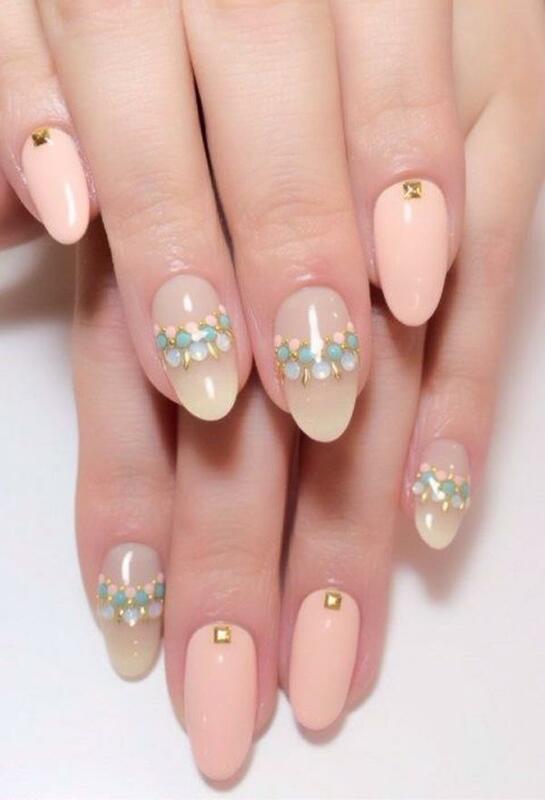 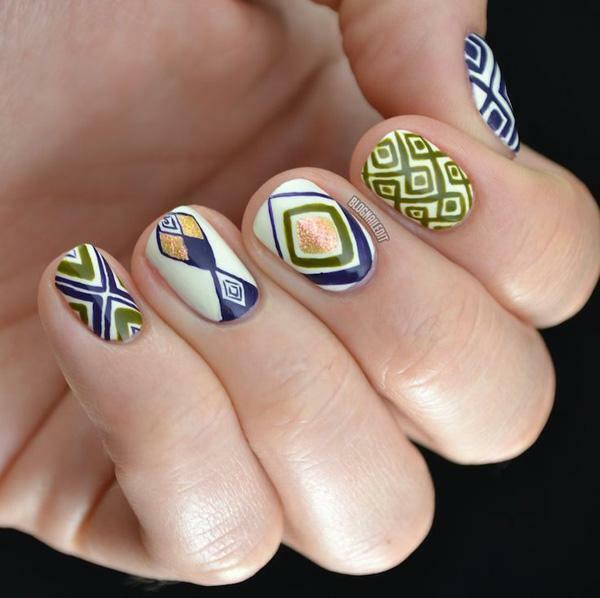 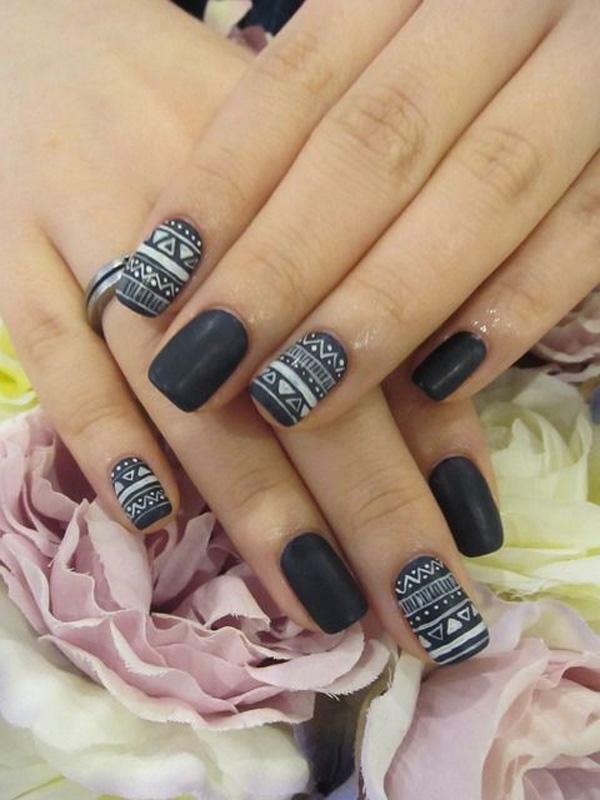 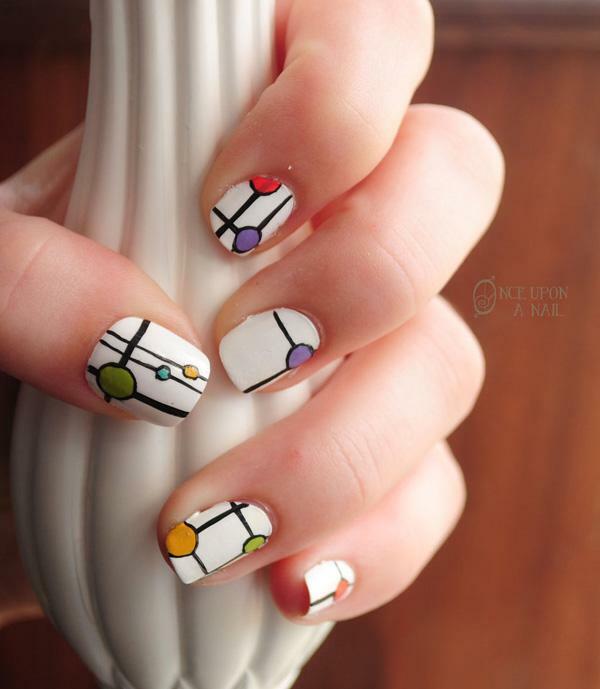 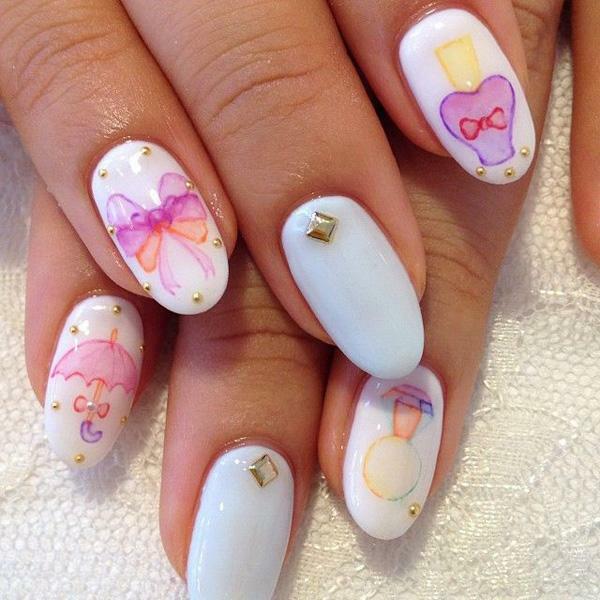 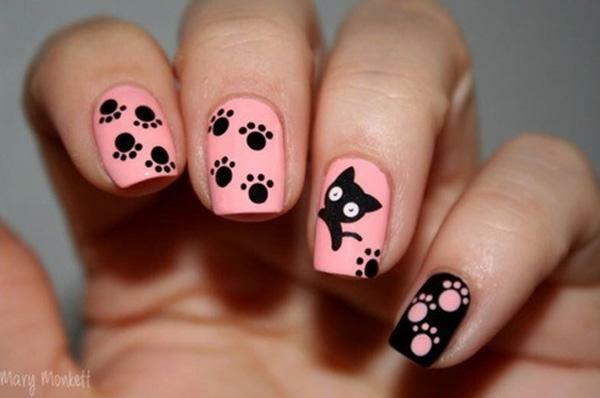 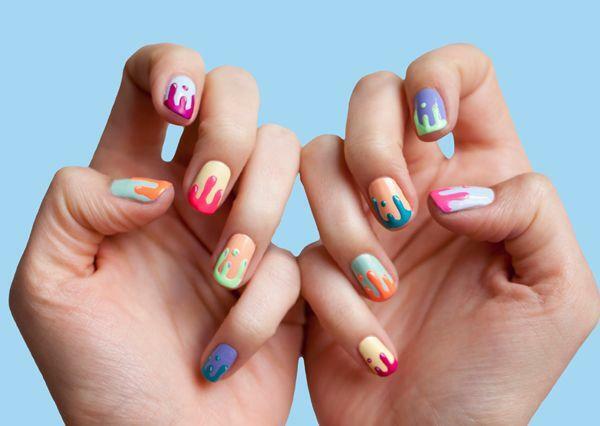 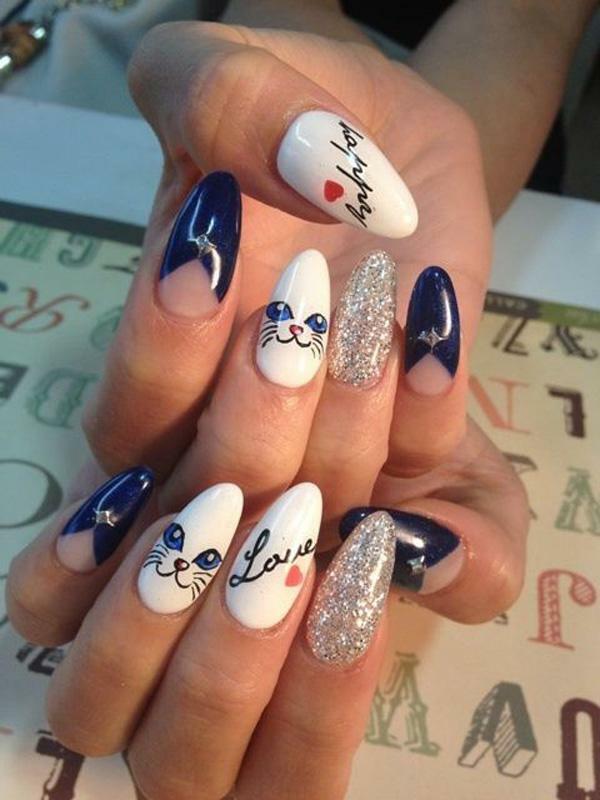 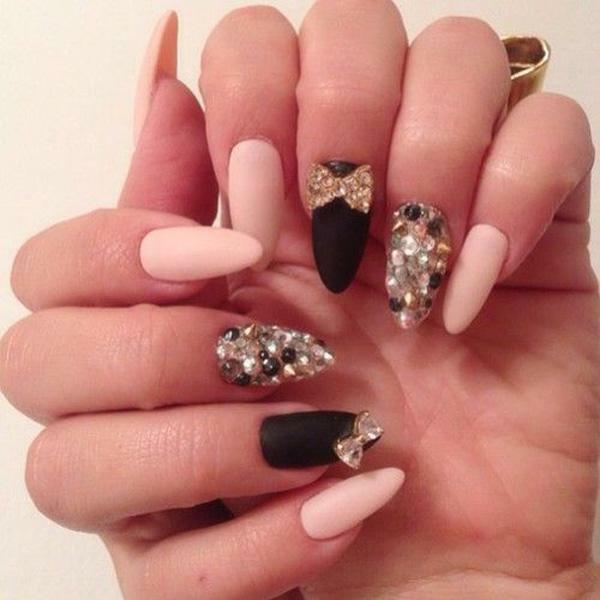 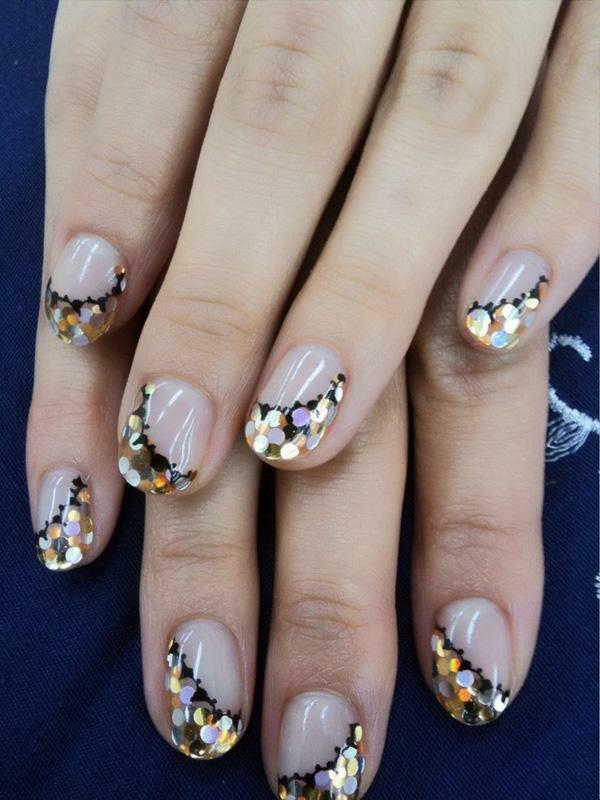 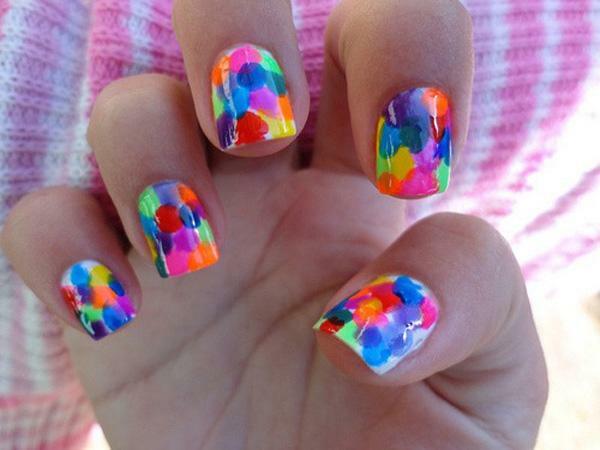 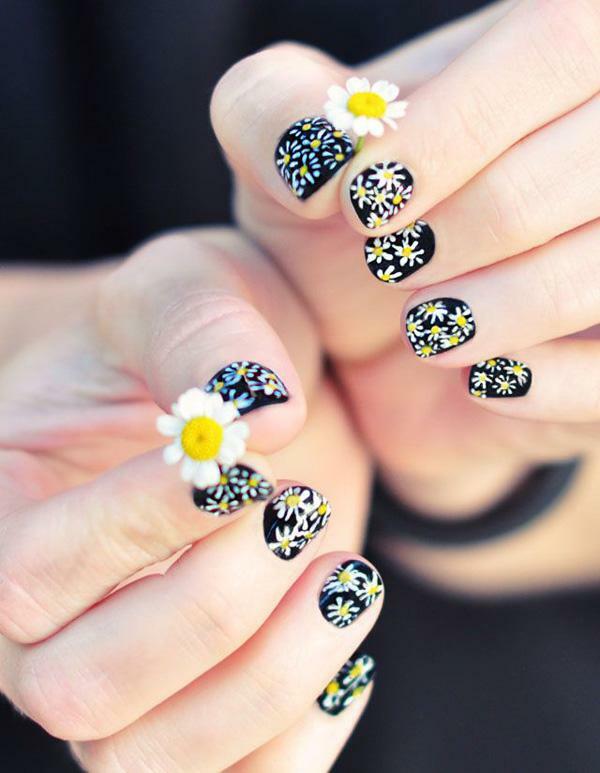 Nail design is one of trending beauty topics in feminine world. 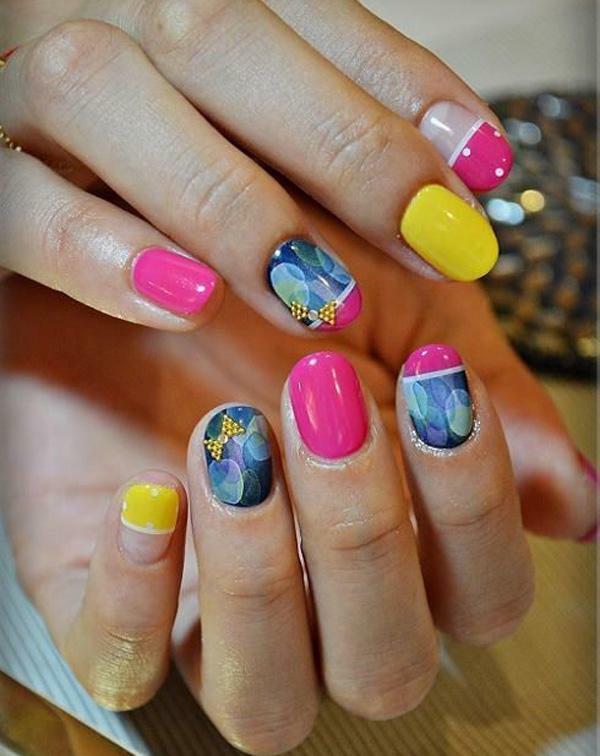 From mono clear, red, pink, purple, and black to extremely diverse variety of colors, nowadays people love bright colors, cool styles that play with light and creative styles, such as crackled, speckled, iridescent, and holographic. 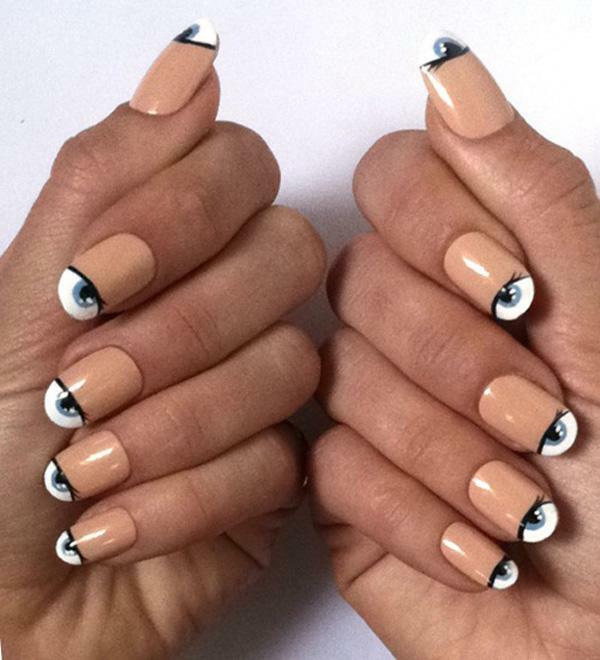 neutral nails with starring eyes. 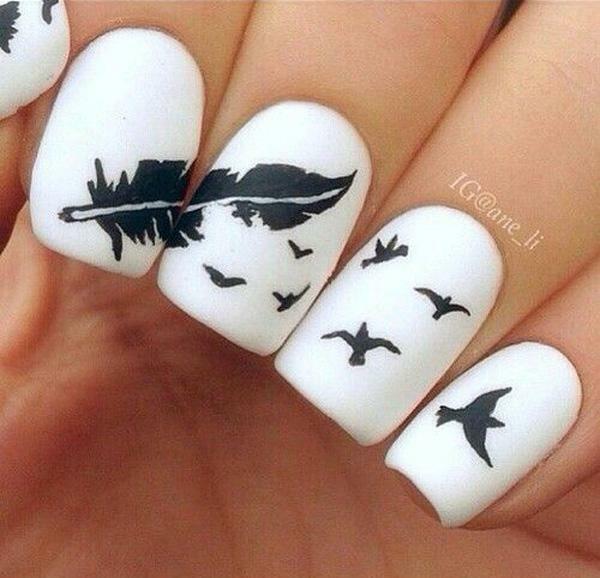 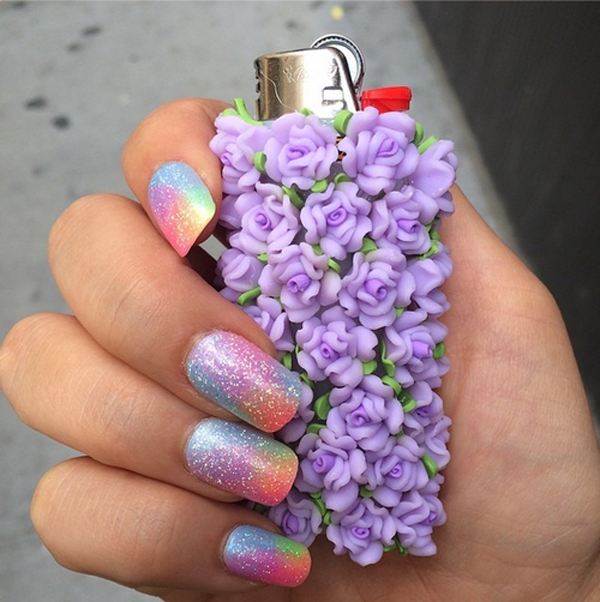 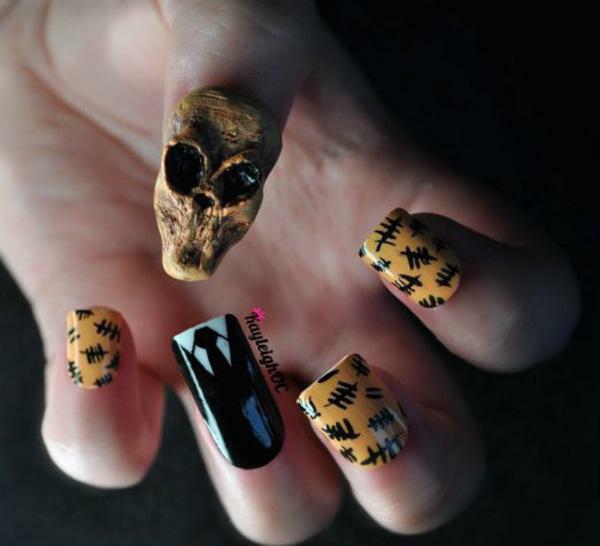 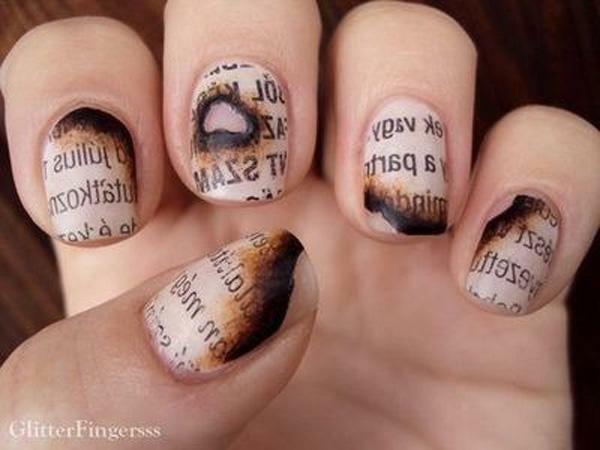 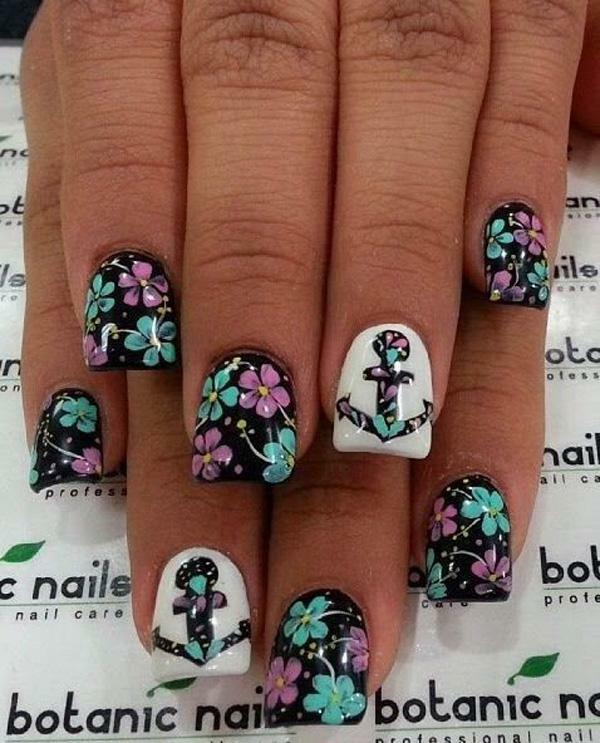 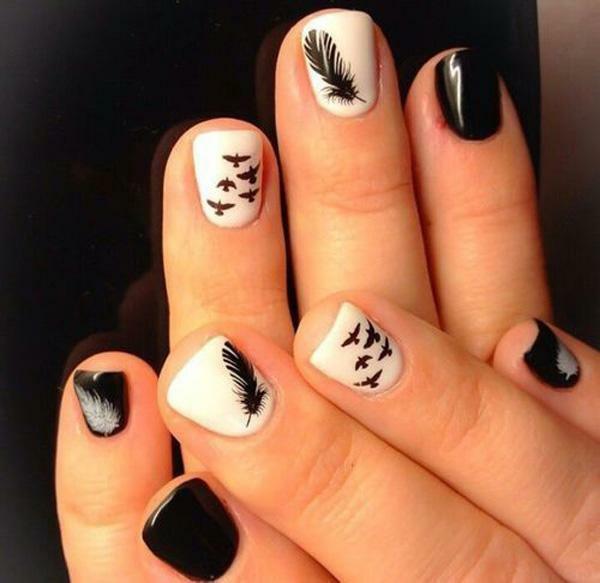 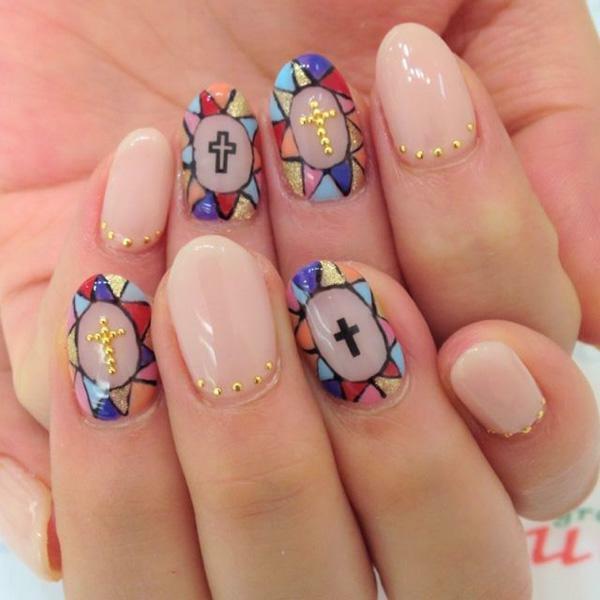 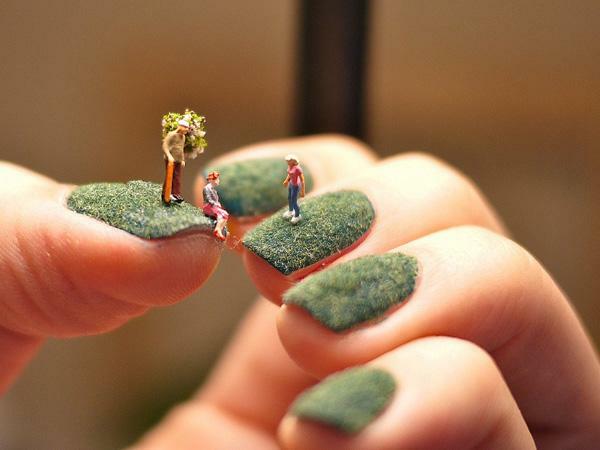 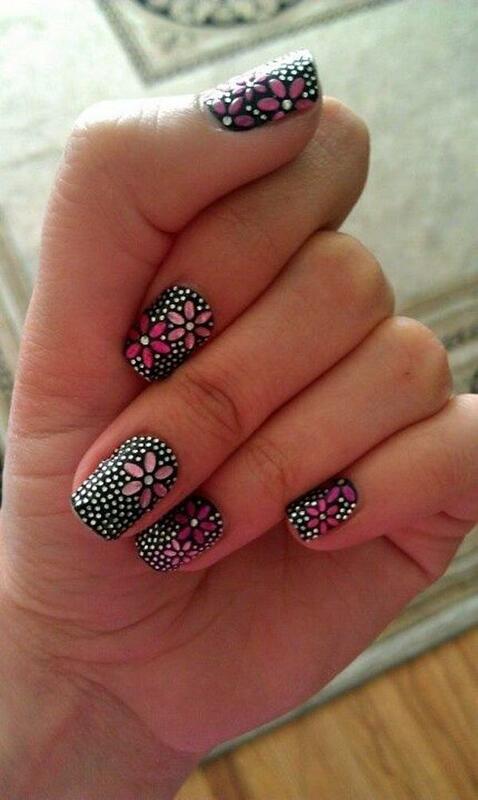 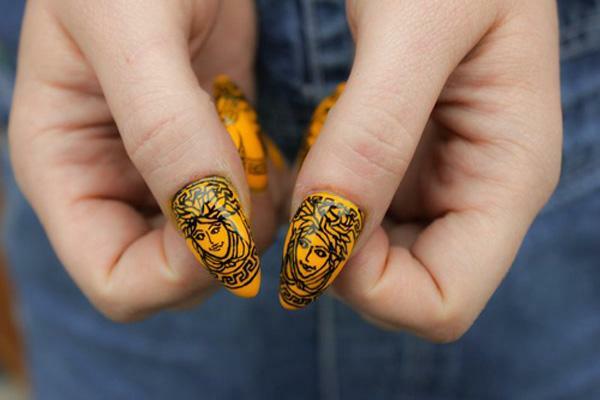 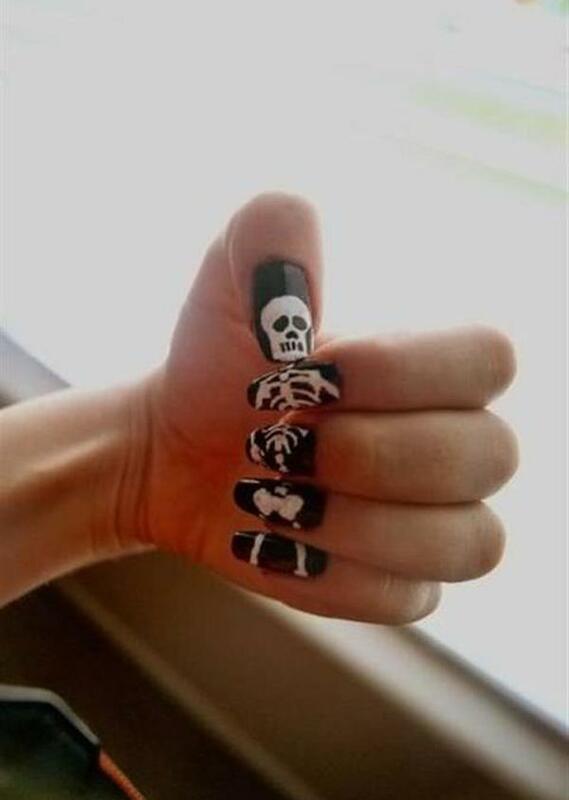 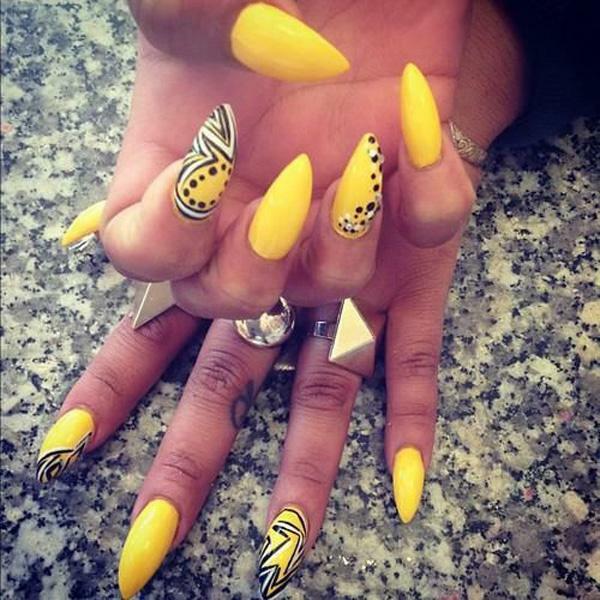 Love the nails, so detailed. 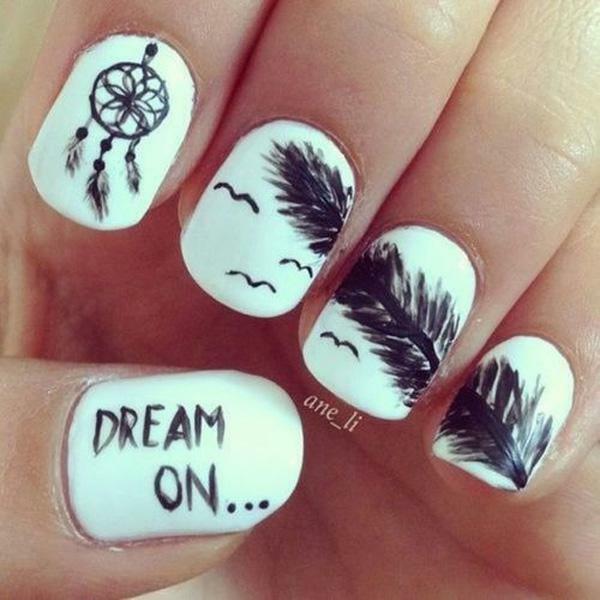 Dreamcatcher with glitter rhinestones.